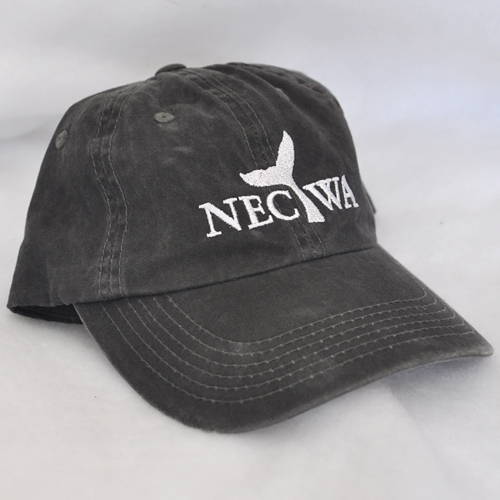 Embroidered NECWA logo on front of black hat, one size fits all. Cap has adjustable clip on the back. Brand is Port Authority, Garment washed cap.